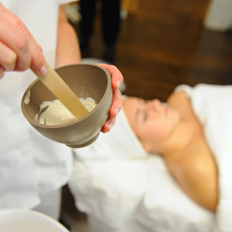 The Elizabeth Grady School 600 hour Esthetician Program provides participants the opportuntity to gain a comprehensive understanding of the tools and techniques necessary to become a successful licensed professional in today's industry. 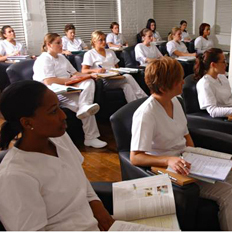 The experiential environment at Elizabeth Grady supports aspiring estheticians as they practice and perfect their hands-on skills. 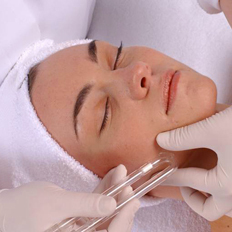 The following are examined from both theoretical and real world perspectives: Skin care and waxing services; product knowledge, business operations, and sales; the art and technique for application of make-up; and the scientific foundations of skin, health, and wellness. Note: Per MA State Board regulations, students may elect to take their MA state board examination at 300 hours. Prerequisites for completing and/or testing at 300 hours include being in Satisfactory Progress in academics and attendance. Additionally, students must be paid in full for a 300 hour program. As of May 1, 2019 we will no longer offer 300 hour programs. All 300 hour students must be enrolled prior to 5/1/2019. *Completion dates are subject to change due to class cancellations because of weather or other unforeseen events. Graduations are typyically scheduled two business days following the completion of 600 hours. Above dates reflect 600 hour programs. The US Department of Labor and Statistics defines a Skin Care Specialist (SOC 39-5094) as someone who "provides skincare treatments to face and body to enhance an individual's appearance." The following link to the department outlines national estimates and provides both an industry and geographic profile: http://www.bls.gov/oes/current/oes395094.htm. 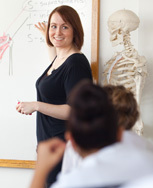 Check back for upcoming classes or call Admissions at 781-960-0120 for details. Check our calendar for upcoming program dates.